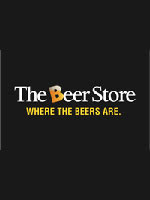 The Beer Store (TBS) is toasting its 7000 employees across Ontario's 440 retail locations and its loyal customers, to thank them for their efforts in securing the 2011 Globe Award for the Best Green Retailing Practices In Canada, announced recently in Vancouver. The Globe Foundation recognizes outstanding achievement in environmental stewardship and commends businesses that take a proactive approach to providing sustainability benefits to communities and society at large. The recent Victoria Day long-weekend sales, which see an annual spike of over 25% compared to other weekends, further highlights the environmental and societal importance of the company's bottle return program. "We're proud to have been recognized with a Globe Award for having the best green retail practice in Canada, especially when shortlisted against two large national companies," said Ted Moroz, President of The Beer Store. "The Beer Store's bottle return program is a win-win situation for both our customers and the environment and we look forward to furthering our commitment to green corporate practices." Collectively, The Beer Store reuses or recycles 4,000 containers every minute of every day. A half billion metric tonnes of landfill are avoided every year due to these efforts and by utilizing recycled material instead of virgin raw materials, the Beer Store program saves enough energy to heat 30,000 Canadian homes every year. The corresponding reduction of greenhouse gas emissions is equivalent to removing 33,000 cars from the road. Empty beverage alcohol containers (large and small glass bottles, PET plastic, Tetra Pak cartons, bag-in-box and cans) can be brought to The Beer Store for a full deposit refund.